Well Christmas is over, so I am back in Mahahual for good now. I had planned on coming back at the beginning of last week before Christmas, but I decided to stay in Playa del Carmen and experience Christmas there. 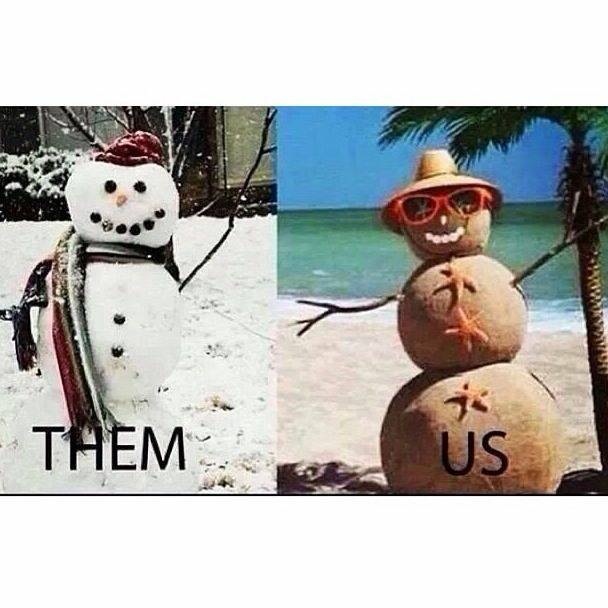 I had never spent Christmas time in Playa del Carmen, and I wanted to compare Christmas there to Mahahual. Christmas in Playa del Carmen is almost like spending Christmas in the USA. Lots of shoppers, Christmas trees, decorations, and all of the other stuff you see in the USA. I was shocked at all the people and tourists in Playa del Carmen during Christmas. Snow man at Mega Store. In the condo where I stayed, it was full of people from around the world celebrating Christmas. A lot of the Canadians that stay there had relatives come in town for the holidays. In fact Christmas night, I had dinner with some French Canadians that I know in condos. 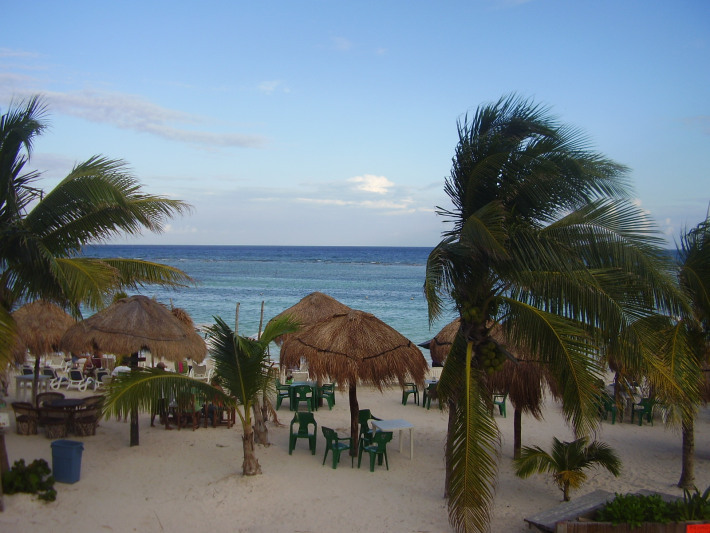 In Playa del Carmen, there is a lot of hustle and bustle, but in Mahahual, there is not. In fact it is always quiet around Christmas time in Mahahual, because usually there are ships in town, and everybody is always working. It was nice to stay in Playa del Carmen and see Christmas there for a change of pace. So I decided to head back to Mahahual on the day after Christmas, Friday, bad mistake, never try to travel the day after Christmas in Mexico. I decided to take the ADO direct shuttle to Mahahual that leaves everyday at 8am from the ADO station at 5th and Juarez. Now I have taken that shuttle a lot to Mahahual, and never had any trouble getting a ticket, because the bus is never full, only about half usually. I thought to myself a couple of days before I was leaving, that maybe I should go down to ADO and see if the bus was running the day after Christmas, and maybe buy a ticket. I thought to myself,no just wait and get ticket Friday morning early. Now I have been down here five years, and I should know better, but sometimes I swear I act like a tourist, and do stupid things. So I got up at 5am the day after Christmas, packed and headed out to the ADO station at 7am to get ticket for 8am bus to Mahahual. Boy did I make a big mistake. I got to the ADO station, and it was packed, There were more people than I had ever seen there before. Well I got into line to buy my ticket. I got to the counter and told the woman one ticket to Mahahual, she looked at me and said in perfect English, “Bus to Mahahual sold out, you should have gotten ticket earlier, it is the holidays”. First of all that is the most English I have ever gotten from one of the women at the ADO counter since I have been here. Second, I was shocked that the Mahahual shuttle was sold out, I was amazed that many people were going to Mahahual the day after Christmas. I then asked her if I could take the Mayab to Limones. She smiled at looked at me and said again in perfect English, ” Yes, standing room only”. Well I stepped back for minute and said thanks, and went to think for a minute. I kept thinking to myself, what an idiot, you know better that, you should have bought ticket in advance. While I was standing there pondering what to do, I noticed a very pretty Mexican woman who I know from the port sitting in the station. She works at the port and I have known her a couple of years. I went up and asked her if she was going back to Mahahual that day. She said yes, but the bus was sold out, and she did not know what she was going to do. She was as shocked as I was that it was sold out. I got to thinking and I came up with an idea, why don’t we see if there are some open seats in the bus when it arrives from Cancun. Maybe some people cancelled or did not show, and maybe they can get us on. I told her to go ask someone if we could do that. They said yes, and I let her handle it because she she is fluent in Spanish, and being attractive they might help us out. We decided if we could not get on ADO shuttle to Mahahual, we would both travel together and find way to Mahahual. Well we waited, and the bus pulled in from Cancun, and it was almost full. Well the driver got out, a young Mexican guy, and I thought to myself if she talks with him, he might help us out. So I sent her to go talk to him, she came back and said the driver would check and see if there were any seats availiable for us. So we waited until right before the bus is about to leave, and the driver signaled to us to come to the bus. I thought we made it. Well when we got to the bus the driver tells her there is only room for one, and of course I knew he would take her over me, so I said like the southern gentleman I am, “You take it, I will find a way back”. She got excited, and gave me a hug, and a kiss on the cheek and jumped on the bus. It was my idea, but I thought to myself, another feather in the cap for southern manhood. But I did notice that her seat was right besides the driver, he let her sit in the little fold down seat they have, so he would be flirting with her the whole trip I bet. So I stepped back regrouped, and ran to the counter to see if maybe I could buy a ticket on the Mayab before it left for Limones. I went back and only window open was the lady I had talked to before. I asked her if I could still get a ticket on the Mayab before it left. She grinned at me and said again in perfect English, “160 pesos, standing room only to Limones”. I bought a ticket and commented to her that she spoke great English, and she just grinned and gave me my ticket. Well I went and got in line because the bus was leaving soon, and I was last in line. The bus was packed, and I was glad I was the last one on. There were people all in the aisles and every seat was full. I stood next to the driver, and after awhile he let me sit on the steps near the door. Every stop the bus made I had to get up walk outside the bus, and let people off and on, and then get back on. This happened the whole trip until we got to Felipe de Carillio, and then I got a seat. The bus left at 830am from Playa del Carmen, and got to Limones around noon. It is hard sometimes to get a bus or collectivo from Limones to Mahahual, and the taxis are too expensive. I asked the bus driver if it was all right if I got off the bus at the exit from highway 307 to Mahahual, instead of Limones. He said no problem pulled over bus and let me and my luggage out in the middle of nowhere. My friend, Denisse told me she always hitch-hikes from the exit there into Mahahual all the time. I figured I could catch a collectivo there better than Limones also. I have never hitch-hiked in Mexico, and not in the USA since college. So I thought what the hell, I am going to give it a try. I stuck out my thumb, and the first car that came by was a pickup truck. He pulls over and lets me throw my luggage into the back , and I hoped in the back also. It was not two minutes since I got off the bus. So I rode into Mahahual in the back of a truck, so now I think I am officially a Mexican. He dropped me off in the middle of town, and he would not take a dime or anything. I told him gracias and shook his hand. I never thought I would ever hitch-hike in Mexico, but I did, another check mark on the things I never thought I would do. So now I am in Mahahual, staying in an apartment over the Tropicante on the malecon in downtown Mahahual. It is nice living on the malecon, and I will have a blog on that and some photos tomorrow. Weather is great here, and the town is filling up for high season. Right on the malecon, on the Caribbean Sea. I know a lot of you have contacted me, and told me you were coming to town soon, and would like to meet me. Well it is not hard to find me. I will be on the balcony overlooking the malecon at the Tropicante, or on the beach around the Tropicante. Also the Costa Maya Real Estate office is right around the corner from where I am staying, so you can also ask for me there. I will be here for awhile. Today I thought I would give an insight into how Mexico celebrates Christmas. From December 16th to Christmas Eve, children often perform the ‘Posada’ processions or Posadas. Posada is Spanish for Inn or Lodging. There are nine Posadas. These celebrate the part of the Christmas story where Joseph and Mary looked for a room in an Inn. For the Posadas, the outside of houses are decorated with evergreens, moss and paper lanterns. Each night a different house hold the Posada party. At the final Posada on Christmas Eve, a manger and figures of shepherds are put on to the board. When the Posada house has been found, a baby Jesus is put into the manger and then families go to a midnight Church service. After the Church service there are more fireworks to celebrate the start of Christmas. As well as the posada’s, another type of Christmas play known as Pastorelas (The Shepherds). These tell the story of the shepherds going to find the baby Jesus and are often very funny. The devil tries to stop them by tempting them along the way. But the shpeherds always getthere in the end, often with the help of the Archangel Michael, who comes and beats the devil! Nativity scenes, known as the ‘nacimiento’, are very popular in Mexico. They are often very large, with the figures being life-size! Sometimes a whole room in a house is used for the nacimiento, although this is less common now. The figures are often made of clay and are traditionally passed down through families. As well as the normal figures of the Mary, Joseph, Jesus, the Shepherds and Three Kings, there are often lots of other figures of different people, including women making tortillas, people selling food and different animals and birds, like flamingos! The figures can be bought from markets in cities all over Mexico. The baby Jesus is normally added to the scene during the evening of Christmas Eve. The Three Kings are added at Epiphany. I have known about this for awhile, but I wanted to check it out for myself. When I was in Mahahual last week I got further conformation that a solar farm is going to be built outside of Limones to power Mahahual and the Costa Maya Port. Plans have been designed, and everything is moving forward. In fact my boss went to China lately to look at equipment and observe their operations. China right now it seems is becoming a leader in solar power. The solar farm will provide clean electricity and help Mahahual preserve its eco-friendly status. It will be built out near Limones, and it is my understanding that the land has already been picked out. I will provide more information when I get it. I will also have more in the near future about the golf course and resort planned for Mahahual after the water park is constructed and in operation. 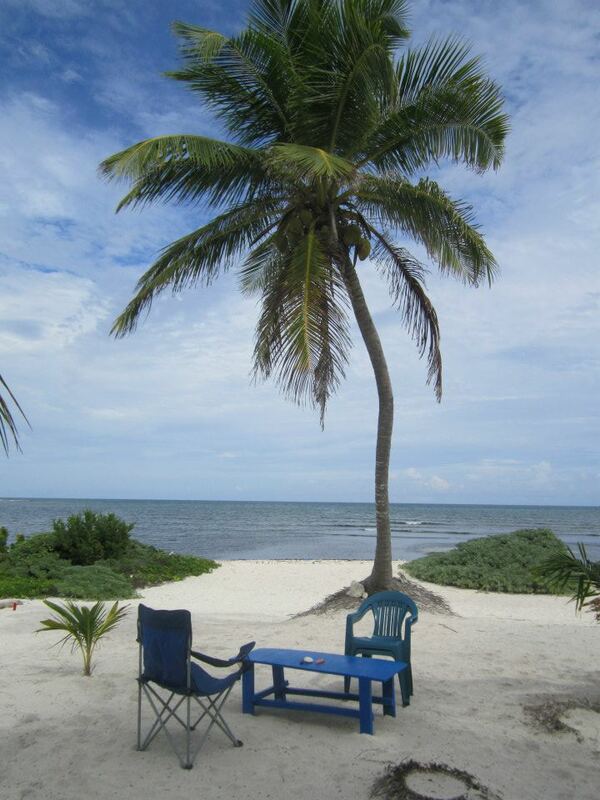 I think the secret is out about Mahahual, and living and retiring in Mexico and Quintana Roo. I have been in Mahahual the last four years since the time I arrived there. and last year I stayed for a couple of weeks in Playa del Carmen watching a condo and a dog for a friend, but besides that I have not been out of Mahahual any time during the winter months like I am doing now. Every where I go here in Playa del Carmen now I am running into people from the USA like I have never encountered before. I am still in Playa del Carmen now, because technically I don’t have a job in Mahahual at the moment. So I am still here getting my friend’s condo ready to rent for the first of the year. I have had some guys doing some construction work this week, so there is work going on, and it is hard to write when there is hammering and drilling and stuff going on. So, I am a little behind on what is going on now down here. Monday morning I got an interesting email from a blog reader who now lives in Playa del Carmen. He told me he has been reading this blog for about 3 years, and also read my blog and stuff I wrote about Belize. He asked me to meet him for lunch to talk about Mahahual, and the possibility of me going with him on a trip to Mahahual and look around. This is not the first time this has happened, lately I have had a lot of people look me up, or find me on the internet, and ask me about Mahahual. In fact, I was sitting in condo here yesterday while work was getting done, and a guy from Colorado that is here for the holidays came by and asked me if I could help them get reservations for New Year’s Eve in Mahahual for him and his family. 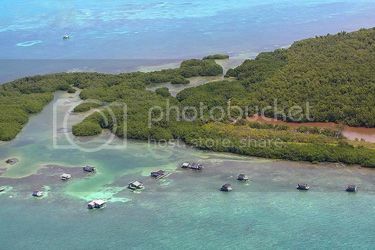 They have never been to Mahahual, and thought it would be nice to spend a couple of days there around New Years Day and Eve. They have heard people around here talk about Mahahual, and sought me out. I told them how to take the bus from here to Mahahual, gave then some names of places to stay on the malecon so they could look on internet, and just basically did my whole Mahahual information thing. I also left them some books and other information about Mahahual for them to read. I am going back to see them later today, and set their trip up. Now back to my blog reader who asked me to lunch. We agreed to meet at the Tequila Barrel for lunch, because he had read about how I hang out there watching football, and he wanted to check it out. Well this guy showed up, big guy from Texas dressed up like motorcycle gang member, in a leather riding jacket, helmet, gloves, everything. He rode to meet me in his chopper. At first I did not what to think, but after we sat down and started talking, I realized he was just a good old southern boy like me. We ordered lunch and started talking about Mahahual. He is very interested in maybe moving to Mahahual, and asked me questions about life and business there. He is thinking about maybe starting or going into business there. He has a Mexican wife, and children, and is a resident of Mexico, so he is looking to start a future in Mahahual. He told me he and his family have lived in northern Mexico, close to the border with the USA, and are looking for somewhere safer. Well I don’t know how many of you know me, but I have a very loud voice, my voice carries everywhere. I think it is because I used to coach football, and also worked in discos and night clubs when I was younger. We were eating lunch and I was giving my talk about the port and the future growth of Mahahual, and the next thing i know, a couple sitting in a table in front of us turned around and told me they could not help but to hear I was from Mahahual. I told them yes, and then they went on to tell me, that they were from Canada and worked in the cruise ship ports in Canada during the summer. They have their own business, and were looking into getting into the cruise ship business in Mexico during the winter because they close during the winter in Canada. 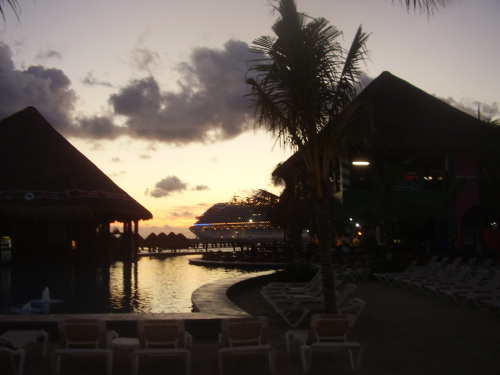 They had visited the cruise ship port in Cozumel, and now wanted to know about Costa Maya. We all talked during lunch, and of course the talk centered around Mahahual. After lunch we all agreed to meet at the Texan’s house,(I have not used his name, because sometimes people don’t like their names posted) later that night for some BBQ. Again that night, the talk centered around Mahahual and living down here and what to expect and the usual things people ask me about. We did this over BBQ ribs and hot wings, pretty good. We all then decided to take a trip to Mahahual on Thursday, and I will show them around. The Texan has a car, so he is going to drive us all down to Mahahual on Thursday morning. I am going to get them a tour of the port, show them around the malecon, and introduce them to a bunch of the locals. We will go out to dinner, look at some properties, and basically give them the 10 cent tour of Mahahual. He will probably come back to Playa del Carmen late Friday. The Canadian couple are in the cruise ship business in Port Halifax, Canada, and lot of the ships that come to Costa Maya go there in the summer months, so they are very familiar with the port tourist business. It was very ironic how I met them, and I think their business would go over good at the Costa Maya Port. To sum up, I am amazed at all the attention Mahahual and Costa Maya is getting now. I know a lot of it is because of the cold weather up north, but I get more and more people asking me about Mahahual every day here in Playa del Carmen and on the internet. Even here in Playa del Carmen, I am known as the guy from Mahahual. I got a check from Mom’s Bar and Grill here a couple of weeks ago, and the name said not “Stewart” but “Mahahual Guy” on the check. So I will be on the road the next couple of days during my tourist guide routine. I am getting ptetty good at the guide thing, this will be my 3rd or 4th time this year taking people around. I will have a post on this trip this weekend.